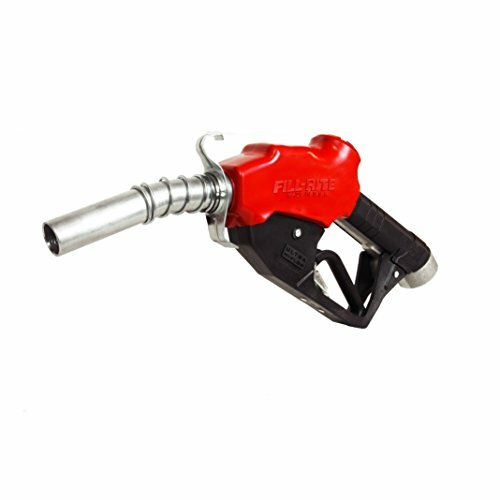 This easy-to-use Fill-Rite ultra high-flow nozzle allows you to fill your tank quickly and safely. 3-position lock allows you to automatically dispense fuel at your choice of 30, 24 or 8 GPM. Compatible with diesel fuel, gasoline, kerosene, mineral spirits, stoddard solvents and heptane. U.S.A. Compatible With: Diesel, gasoline, kerosene, mineral spirits, stoddard solvents, heptane, Works With: Fill-Rite transfer pumps.